BenQ will feature its latest innovations at the Texas Computer Education Association (TCEA) Convention and Exposition, Feb. 6-8 at the Austin Convention Center in Austin, Texas. BenQ will give educational decision-makers an up-close look at solutions available for the classroom and school campus, ranging from the all-new Google Jamboard to the company's 75" RP750K interactive flat panel display and Blue Core laser projectors. 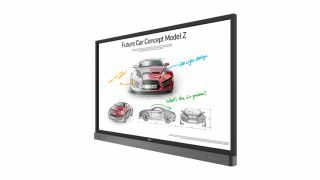 The RP750K Interactive Flat Panel Display (IFP): At 75" the RP750K is one of BenQ's largest interactive flat panels — designed to tap into the dynamic possibilities of the classroom and help teachers build a healthy and engaging learning environment. Not only does the RP750K feature a bacteria-resistant screen, but the display also comes installed with proficient annotation tools for enhanced class participation. The RP750K's handwriting recognition feature allows presenters to simultaneously convert written text, numbers, forms and drawings into legible materials without having to switch modes while effectively facilitating smooth teaching flow. The RP750K is the ultimate interactive display to achieve a touch-enhanced, smooth and fun learning experience. BenQ's Low Blue Light technology minimizes blue light exposure and allows for healthier time spent in front of the display, helping teachers create the best and most comfortable viewing experience for themselves and their students. Plus, BenQ's Flicker-Free technology is meticulously designed to remove LED backlight flickering while providing a zero-flicker viewing experience. This effectively reduces CVS-related eye problems and alleviates discomfort caused by looking at the screen all day.